The world of filmmaking is changing every day. With more and more filmmakers self distributing and the onslaught of VOD outlets like Netflix and Amazon it's much easier to find your favorite (or not so favorite) indie films. Not to mention there's a Red Box kiosk on every corner carrying a variety of films distributed by one of the many independent distribution companies popping up everywhere. And let's not forget about social media. There are tons of films I never would've heard of had it not been for sites like Facebook and Twitter. Sometimes that's a good thing and sometimes, not so much. Don't Blink is the story of ten friends who set off on a trip to a remote lodge in the mountains. 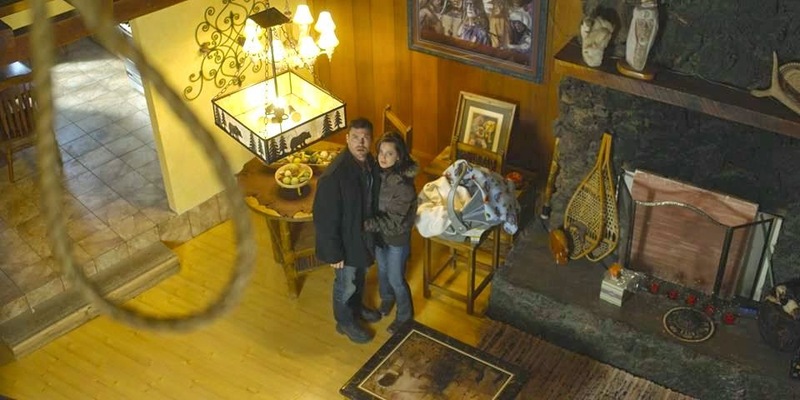 Immediately upon arrival, strange things start happening when they find the lodge completely deserted. Given that there's evidence of activity (full plates of food, running water) the group splits up in search of any signs of life. What they discover only leads to more questions and when they start disappearing one by one, they soon quickly realize that no one is safe. You'd think (well I would anyway) that with an experienced cast like Brian Austin Green (Beverly Hills 90210), Mena Suvari (American Pie), Zack Ward (A Christmas Story) and Joanne Kelly (Warehouse 13), the acting would've been a little more solid but it was uninspired at best. Perhaps they were as confused by their characters as I was. As with every "group of friends" horror film, we have the happy couple, the bad boy, the horny boy, the weird one and the easy chick. Normally these characters pretty much stay the same throughout the entire film but that is not the case with Don't Blink. 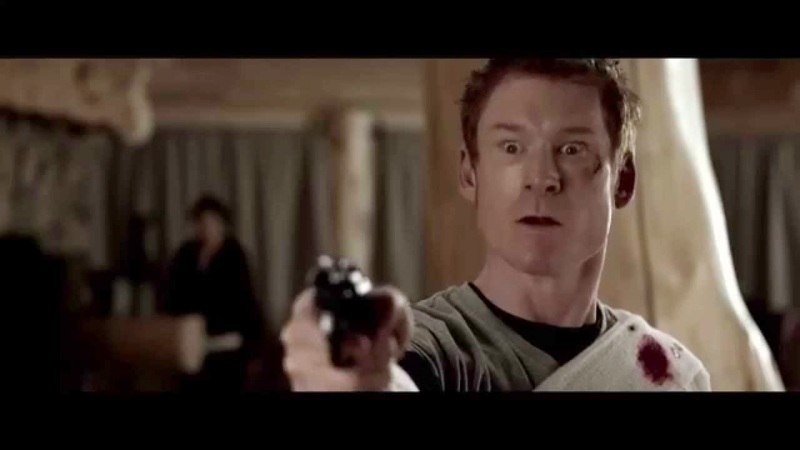 Writer Travis Oates spends the first half of the film creating characters that the audience will connect with, only to flip them 180 degrees in the second half. It's no wonder that even the most experienced actor comes off as stiff and unbelievable. An interesting concept breaks down rather quickly once the action picks up and while I usually tend to admire films that keep you guessing, Don't Blink left me with the feeling that I'd missed something. There's no real resolution and too many loose ends make the film seem unfinished. It's understandable that filmmakers want to do something different but different doesn't necessarily equate to a good thing. All that said, there are some positive things, the film is well shot and there is some beautiful cinematography throughout. The camera work and editing during pivotal scenes is quite clever. 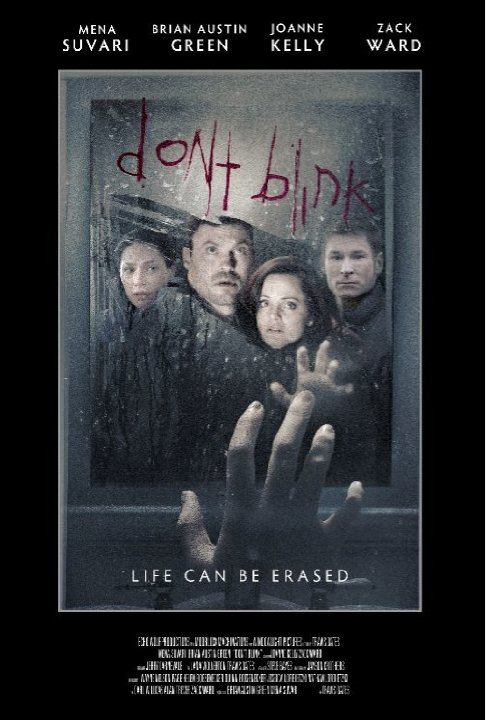 Don't Blink will find an audience and the mainstream sites seem to love it but as horror goes, you might get more fulfillment from the 2007 Doctor Who episode, entitled Blink.